Lincoln Road, High Wycombe, Bucks HP12 3FU. If you are entertaining friends you want them to feel at home, enjoy their stay with you and (if we are honest) speak well of us to others having enjoyed themselves. This is as true when you are inviting others into your company, attraction or tour. 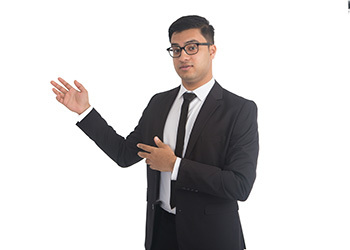 Your team have just a few seconds to make a great impression on your behalf and the fact they were welcoming people five minutes ago and will be again in five minutes time doesn’t matter either … from your visitors point of view the snap shot of behaviour that they see right now is what they will walk away with. 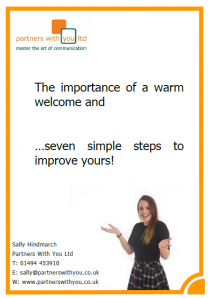 Taken straight from our workshops this short eBook gives you 7 tips for improving the welcome that you and your team give each and every visitor. By submitting this form I give consent for the above to be provided to me and I recognise I will also be sent future email newsletters which I understand I can unsubscribe from at any time. Is your communication style holding you back? High Wycombe, Bucks HP12 3FU.